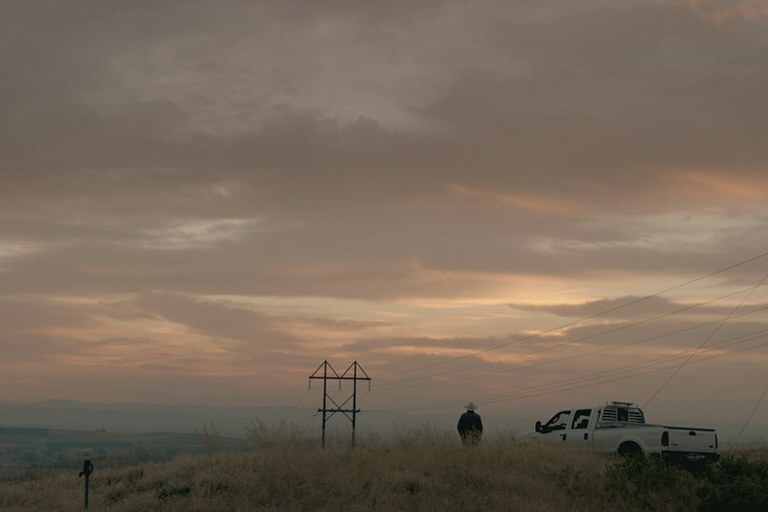 In the first few scenes of the new A&E documentary “No Greater Law,” we see a man named Dan Sevy, the most visible face of Idaho’s reclusive Followers of Christ church, rising early for his morning chores. He wears a barn coat, jeans, a cowboy hat. At the pre-dawn hour when even a ramshackle house or the ugliest row of power lines looks like an oil painting, Sevy pauses to take in the moon. It’s a prescient moment in a impeccably shot film about one of the West’s most harrowing questions: Should a state penalize parents who try to heal their children by prayer alone? The Followers of Christ are a sect of Christians who believe medicine is a form of witchcraft, and only attempt to heal their sick, including children, by anointing them with olive oil and praying over them. Aspirin is a no-no. Some won’t even wear eyeglasses. Idaho is one of only six states where faith-healing parents are guarded from felony charges — negligent homicide, manslaughter or capital murder — if their children die of treatable illnesses. Where other states, like neighboring Oregon, have stepped aggressively in the opposite direction by removing religious shield laws and prosecuting faith healers, Idaho legislators continue to bolster protections for churches like Sevy’s, even as the bodies of children continue to go to cemeteries. But “No Greater Law” pierces the secrecy, getting inside Sevy’s thinking, and inside the minds of other Followers, offering new insight into why the group continues to be protected in Idaho. But it is the Followers’ relationship to the Idaho landscape itself that resonates the loudest. In Sevy and his friends, the film captures Westerners for whom living in the often-unforgiving wide-open spaces out West means getting far away from the government — a concern that eclipses child welfare. “It seems like every time we turn around, there’s some government entity looking to encroach on that freedom,” Sevy says in one early scene. “I don’t understand it. I guess I’m just too simple a man.” He calls himself “a child of the sagebrush,” and characterizes the fight to preserve faith-healing protections as a class issue. “It always seems that when somebody makes choices you disagree with, especially if you consider yourself more educated than them, well you just think they’re stupid: ‘They’re uneducated. They’re just people that dig in the dirt,’ ” he says in a speech to state legislators. It’s this revelation that makes “No Greater Law” such an important snapshot of Western culture right now. This is a film about the way state lawmakers have firmly interlaced their fingers with those of faith-healers, united in the firm belief that the West is the last bastion of freedom for white men to live without interference — that Idaho’s landscape of ancient mountain ranges jutting like lower jawbones from the earth, stubborn and enduring, is their final refuge from a changing society. “This is his last stand,” Sheriff Donahue says of Sevy’s fight. Donahue realizes that the Followers of Christ’s battle to keep faith healing isn’t a fight over a couple of aspirins or a spoonful of Robitussin. It’s a fight about enduring bitter cold winters and carving a living from the land — and of not being told what to do, even if that means doing things in archaic, outdated ways. And if children die in the process? To Sevy, they are necessary casualties in a war for freedom.